Hours: Thurs-Mon. 11:30am-9pm. Closed Tues/Wed. 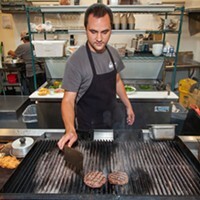 Neighborhood burger joint, serving a variety of burgers, shakes, beer and wine.